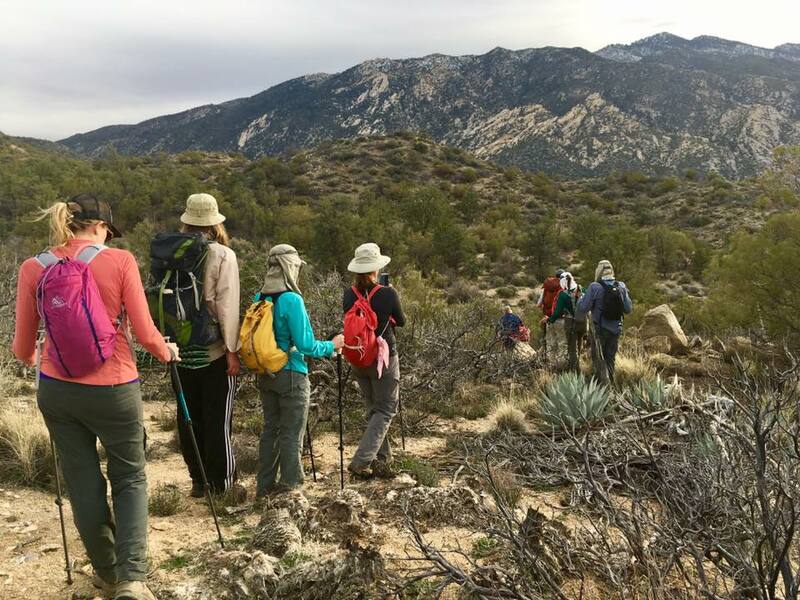 The Sierra Club San Diego offers a number of day hikes, car camps and backpacks led by trained Chapter Outings Leaders. Our mission is to lead fun, safe hikes and is open to both members and non-members. Our hikes and backpacks are free of charge unless otherwise stated. Bus trips and some car camps do have a shared cost fee. To get an idea of what outing is right for you, our hikes have a rating system. The first letter E (easy), M (moderate), H (hard), S (strenuous) denotes the difficulty of the outing. The number lets you know how many miles round trip for the hike (or the longest day if it’s a multi-day trip). The final letter A (0-500), B (501-1000), C (1001-2000), D (2001-3000), E (3000+) lets you know the elevation gain or loss. To sign up for a hike, just contact the leader. They may have some questions for you to see if this is the right outing for you! Please see the listing below of outings currently being offered. We send out an email blast with our outings on the 1st and 15th of the month, if you would like to receive the email, please compete the form. We look forward to having you join us on an outing.